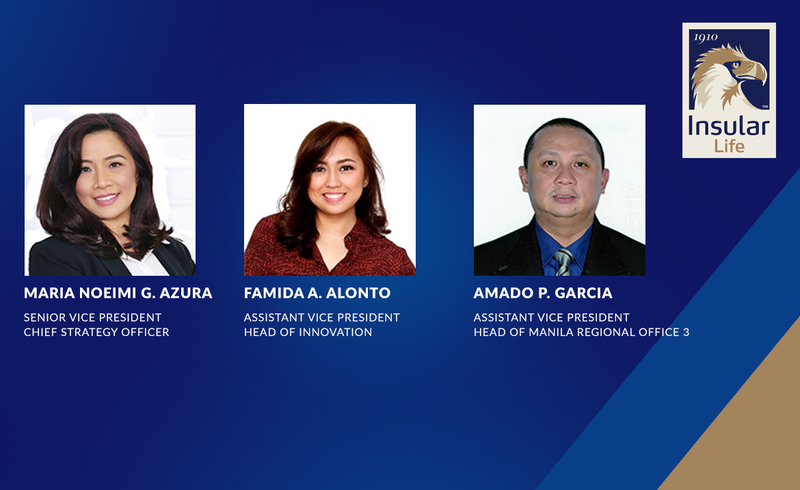 Insular Life announced the appointment of three executives: Senior Vice President and Chief Strategy Officer Maria Noemi G. Azura, Assistant Vice President and Head of Innovation Famida A. Alonto, and Assistant Vice President and Manila Regional Office 3 Head Amado P. Garcia. Azura has close to three decades of professional experience in consumer banking and health insurance which she gained from large domestic and multinational companies. During these years, she has acquired a solid track record in business transformation, sales and distribution, audit, and compliance. Prior to joining Insular Life, she worked at Citibank, American Express, Australia and New Zealand Banking Grp Ltd, and most recently, PhilCare as its president and CEO. In Insular Life, Azura is responsible for business strategy formulation and execution. She also leads the Company’s digital transformation initiatives and oversees corporate risk management. She graduated from De La Salle University with a degree in Accountancy, and obtained her Master in Business Administration degree from the University of the Philippines. Alonto’s expertise is in financial technology, being the co-founder, venture capitalist and accelerator lead of Plug and Play Travel and Hospitality Innovation Platform, a Silicon Valley-based technology startup focusing on the travel industry, and the Launchgarage Innovation Hub, an incubator co-working space, accelerator, and investor for tech startups in the Philippines and the ASEAN region. She is a conference speaker and lecturer on technology and innovation both locally and internationally. She graduated from the Ateneo de Manila University with a degree in Mathematics and Business Management major in Communications Technology, and took graduate studies on Technology Entrepreneurship, International Management, and Innovation at Stanford University, USA. Garcia has more than two decades of extensive experience in the areas of financial literacy & investments, sales & agency management, and channel distribution development. Prior to joining Insular Life, he was connected with various mutual fund and life insurance companies. He graduated from the Chaminade University of Honolulu with a degree in BS Business Administration. He is a Certified Investment Solicitor (CIS) for Mutual Funds and has a VUL and traditional license from Insurance Commission.